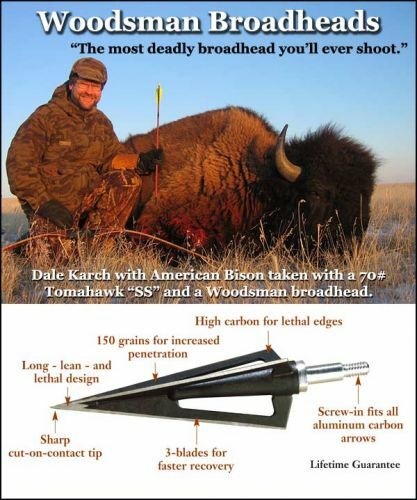 Woodsman® 155 grain, 155 grain screw-in broadheads are perfect for aluminum and carbon arrows. Bowhunters everywhere agree, Woodsman® broadheads are one of the best penetrating, most accurate, 3-blade broadheads available anywhere. They have a 1-1/8" cutting diameter with .044" thick blades.In 2-5/8" length Built on the best 11/32", 5° taper ferrule on the market.